Stitches and Scissors: I am in love. Flowers and Stripes quilt is all done and I love it. I decided to buy a darning foot so that I could do free motion quilting for the first time, but boy, I did not realize how hard it would be to find a darning foot. After multiple stores I finally got one and WOW, loved it! It was so easy because you don't have to stick to a pattern (meaning following lines or squares). The only problem I had was that it lead to having multiple puckers, hence getting out my un-picker (which is NOT my favorite thing to do). I know as I get better at it this will not (hopefully) happen. 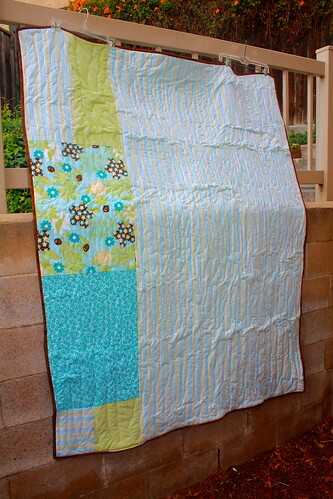 I also used white Kona Muslin for the borders of this quilt and I do have to say I was not a huge fan of it. It wrinkles like crazy. The quilt measures 60 x 75. 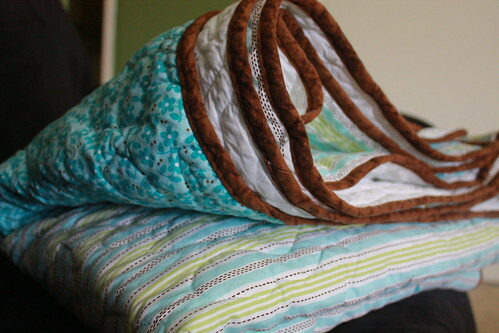 I had a lot of shrinkage in the quilting and washing of this quilt. According to this post it is supposed to be 65 x 80, oh well. Note to self: next time make it bigger so that after quilting and washing it will be the desired size! I was really happy with the binding. 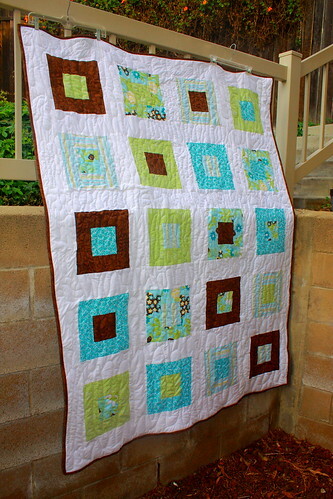 I think that the brown really pops on this quilt. It looks great! Good job! Darci...I like it. Really I like the thing you did to quilt it! I hope Brett likes it! yet another GREAT quilt! 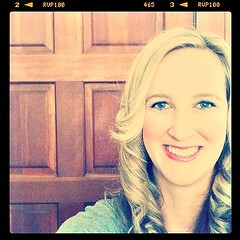 :) the brown works wonderfully like you said! Bewutiful quilt top - I love the colours! And great job on the quilting - I havent been brave enough to give free motion quilting a go yet - Im still a 'stitch in the ditch' girl but this is certainly motivating! i think it looks SUPER cute. i really like the brown binding. 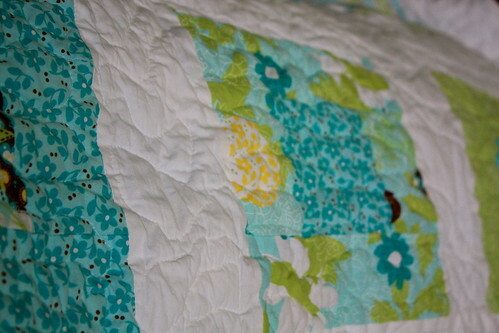 Darcie: I absolutely love this quilt ... the colors, the pattern, the quilting, the binding ... are spectacular! Did Erin tell you that you gals have me looking at fabric? Funny. Keep up the good work. Absolutley beautiful! 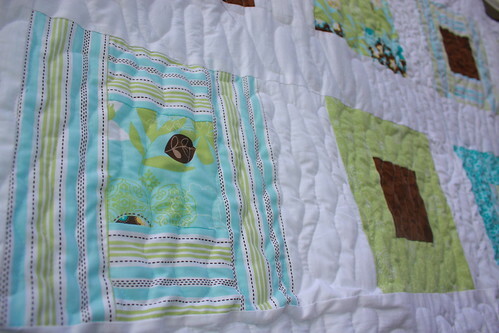 This line of fabrics is one of my favorites and I love how you used it in this quilt.